Throw a bunch of criminal misfits into an abandoned warehouse and let the bullets fly. 2016 action flick homage ‘Free Fire‘ arrives with a stellar ensemble and non-stop action. 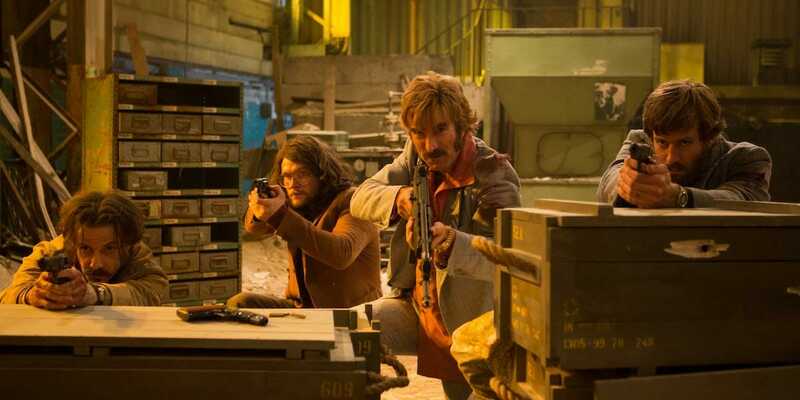 What it lacks in depth it attempts to make up for in an endless supply of attitude and bullets will fly style. Story, who needs story? A wide assortment of gun runners, goons, and wheel men thrown at each other throughout a wanton sea of betrayals and double dealing during one crazy night in an abandoned New York City factory, circa mid-1970s. Unfortunately, beyond the great set-up and a scene-chewing cast the edge gradually wears off. With no one to root for our investment in who lives and who dies is moot. And we’re left with pretty much what is expected, “twist” ending included. Was hoping for more of that dark pathos filmmaker Ben Wheatley gave his early films ‘Sightseers’ and ‘Kill List’. Alas. 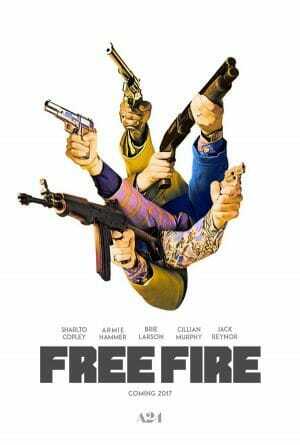 So despite a stellar cast led by the likes of Cillian Murphy, Brie Larson, and Sharlto Copley ‘Free Fire‘ leaves without lasting impact. 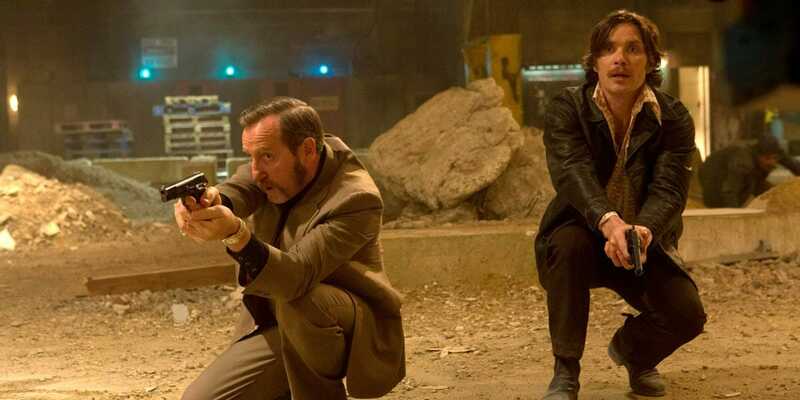 A guilty-pleasure, action-packed throw-back to the classic nihilist crime thrillers of the 1970s that should, at the very least, leave you smiling. Paper-thin characters, a nonexistent story, and an endless supply of flying bullet mayhem. A true guilty pleasure action film.